Raw Materials Art Supplies is an art supply store in Downtown Los Angeles that offers custom fine art framing and stocks thousands of art supplies at every-day low prices, including many top brands of paints, stretched canvas, and brushes (and can special order more). The whole month is dedicated to urban sketching and painting outdoors. Let the warmer days, clear skies, and all that spring renewal inspire you and your art. Oh yeah, we’ve also got a humdinger of a sale! The u.go Anywhere Pochade Boxes were designed for travel from sea to summit and anywhere in between. The inherent beauty of each tree is shown in the grain lines, knots, and varying wood tones, and combines with the work handcrafting each pochade box to create an item that is uniquely yours. 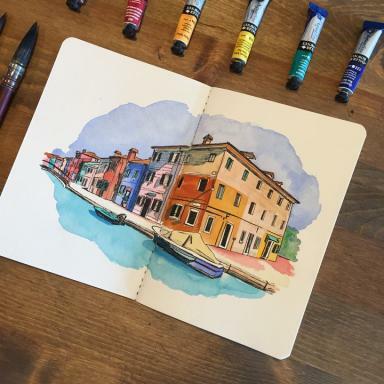 Created with Plein Air Painters and Urban Sketchers in mind, the Travel Series is designed to meet the needs of on-location artwork. 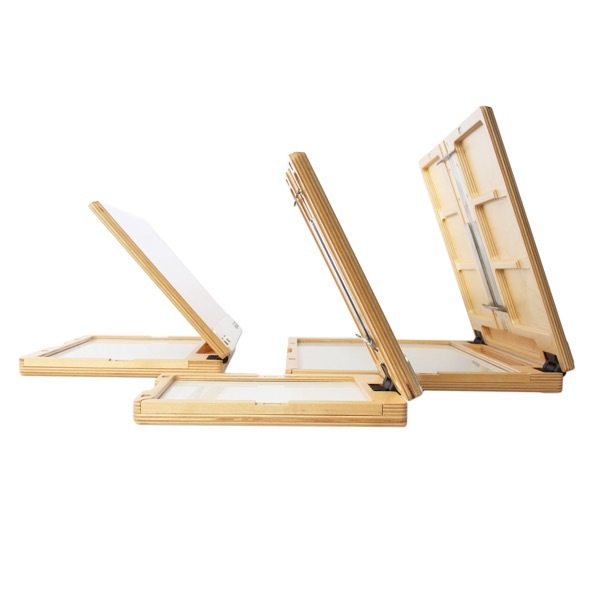 Made with 100% cotton watercolor paper, these are perfect for the artist who is looking for a tough and resilient surface for scrubbing, scraping and other rough techniques. 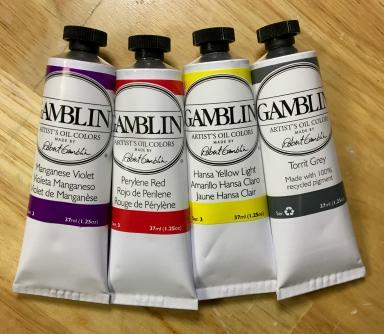 40% off Gamblin Artist's Oil Colors + Torrit Grey! Pure pigments and the finest refined linseed oil are used to make Gamblin Artist's colors. 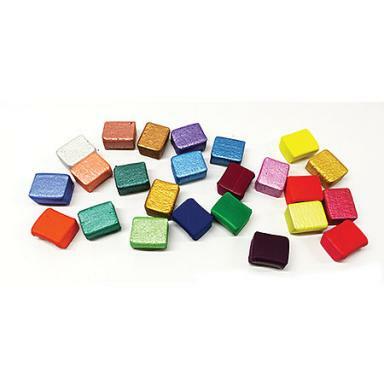 Because no adulterants are used, each color retains the unique characteristics of the pigments, including tinting strength, undertone and texture. Every year, they make a unique paint color using the pigments recovered from the air filtration system in their factory, and while supplies last you can get a free tube of this Torrit Grey with any $25 purchase of Gamblin products. 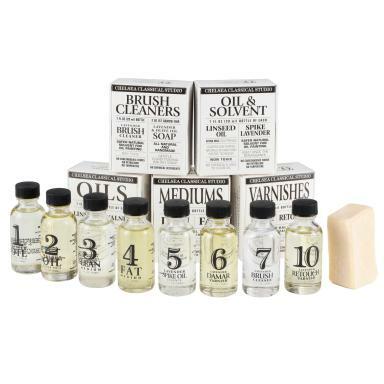 Chelsea Classical Studios Oils, Mediums, Solvents, Varnishes, and Cleaners are handmade in the US using the highest quality natural materials. These archival artist materials have been created using historical methods and techniques, providing artists the safest and most effective options when painting. On-site watercolor painting is simple with a studio right at the artists' fingertips! 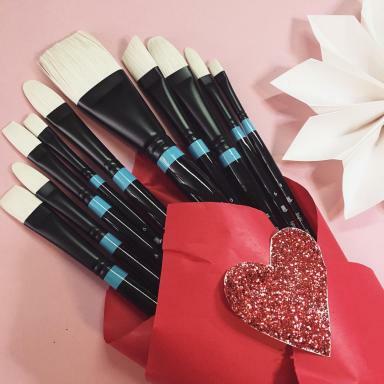 These sets feature Koi watercolors, specially formulated to blend easily to create an endless color range. And now we have refill pans in stock so you can refill and customize your set!